It's disheartening to watch your 2-year-old child deal with a common medical issue such as diarrhea. Although you can't magically flip a switch to cure the problem, special dietary considerations might help expedite your toddler's return to healthy bowel function. Simple, easy-on-the-stomach food choices can help settle your child's digestive system. Loose, watery and frequent stools aren't the only indicator that your 2-year-old has diarrhea; he might also experience a lapse of energy and dry mouth and eyes. Your first dietary approach should be to provide only fluids for the first four to six hours, according to MedlinePlus. Electrolyte-rich beverages designed for children are suitable, as are mild broths or watered-down fruit juice. If your child can handle the fluid without showing side effects such as vomiting, you can proceed with some bland foods. 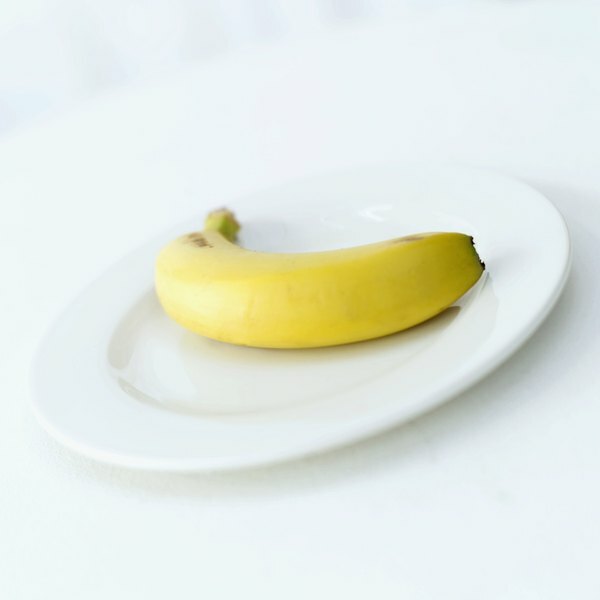 The BRAT diet, which stands for bananas, rice, apples and toast, is suitable. Fruits such as bananas and apples are high in pectin, a type of soluble fiber that can reduce diarrhea. Toast and rice-based products such as cereal and crackers can help thicken the child's stool. Follow the BRAT diet and make subtle dietary changes depending on your child's tastes. For example, your child might be more apt to eat applesauce than a slice of fresh apple. Avoid foods that might disrupt your child's stomach, such as dairy products, fried foods and foods that are spicy or oily. Help your child avoid dehydration as a result of diarrhea by providing water and other fluids. You don't have to contact your family doctor immediately upon realizing that your 2-year-old child has diarrhea, as it's often possible to help the problem through diet. It is cause for concern, however, if your child experiences a fever, experiences stomach pain, has blood or mucus in his stool or doesn't urinate for six hours. If these symptoms occur, get in touch with your child's doctor.